E3 is just a week away. This is the first E3 after the release of the PlayStation 4 and Xbox One. 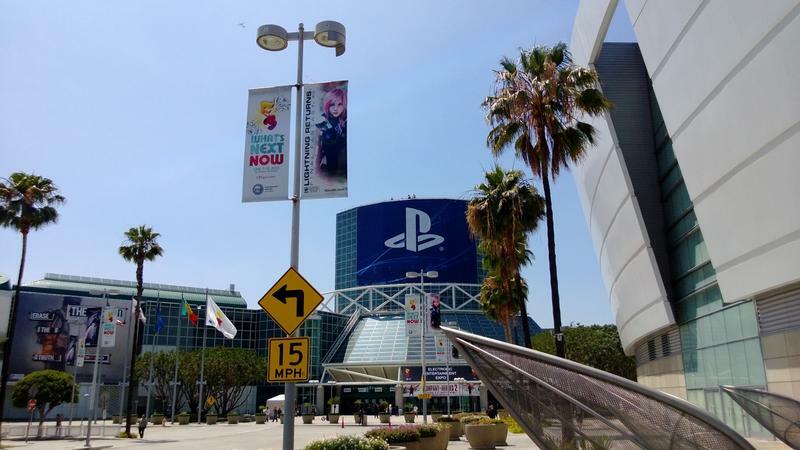 Sony had a strong start with no end in sight, and Microsoft has managed to hype their E3 show to almost unprecedented levels following the ascension of the Chosen One, Phil Spencer, as the head of Xbox. All hail the Chosen One! For he is Chosen! And not Don Mattrick! There are going to be tons of games, no doubt, and it seems like there will be an even bigger flood than we're used to. There is a pile of titles not even announced yet, and the deluge is already getting hard to wade through. Let's look at what we know and what we think we know. Let's talk about what we can't wait to see at E3 2014. Let's go abstract for the first one, chief. Let's talk about what the heck Sony is going to do this time around. Look back at E3 2013. Consider Microsoft's Xbox One announcement. It was ill-conceived, ill-received and absolutely slaughtered by Sony's PR campaign. The marketing efforts at Sony actually turned the Xbox One into a villain! They created this narrative that Microsoft were the bad guys, and Sony was here to save us with the PlayStation 4. For my money, I don't see them being able to repeat that. Make all the Xbox 180 jokes you like, Microsoft has done a lot to right the ship. It has a lot of headroom at E3 this year. Sony? What is it going to do to keep the momentum? What's weird is how tight-lipped Sony has been after a year of being much more open than we're used to. While Microsoft has been busy announcing stuff like crazy, Sony hasn't had much to say. It makes it seem like they aren't going to have much to show. Microsoft has so much that it can't even fit it into one press conference. We know we're going to see the new Uncharted. I'm sad Amy Hennig moved to EA, but with the two leads from The Last of Us in charge now, I'm still excited about the game. What else can we expect? Do we even have any idea? Right, that's the big concern. What will Sony's narrative be now? What's the game plan? We've seen a lot of titles into 2015 over the last few weeks, several of them being big hitters on the PS4. Will we get an Uncharted this year? Will that be a pillar of Sony's show? Will they be able to lay something down as epic as the quick used game video this year? WIll they even come close to matching last year's big moments? I'm excited to see what they do. I think it'll be much harder for Sony to send Microsoft to the burn ward again with Microsoft focusing so firmly on games, but I hope they have a lineup ready to rival whatever it is Phil Spencer's been hyping. Maybe they'll show The Last Guardian, right?? Speaking of vaporware: Call me optimistic, but I think we'll start seeing some of these long awaited franchises. I'm hoping we'll see at least one of them this year, but I don't know how likely that is. Fallout 4, Half-Life 3, The Last Guardian, Beyond Good & Evil 2, Red Dead Redemption 2. Those are some of the big titles we've been waiting to hear about for years. Even the slightest hint of any one of those works fans into a fervor. My theory goes like this: Valve is clearly a PC & Console publisher now. Everything they release hits PC, Xbox, and PlayStation. My thought, my hope, my dream of dreams, is that they were waiting for consoles to get a significant power boost so that they could make a bigger, better game, unhindered by the limitations of the 8+ year-old consoles we all have. I still think we're a ways off from Half-Life 3, regardless of what you go to bed thinking about. I want it too, bud, I just don't see it happening this year. I think Beyond Good & Evil 2 and The Last Guardian are the most likely candidates for an appearance this year. Between those two games, we've had enough rumors and evidence suggesting their existence to last a good long time. 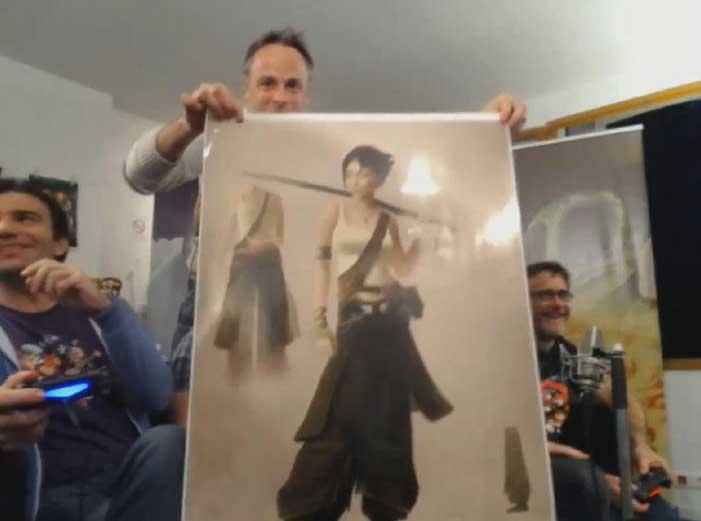 Michel Ancel even recently showed off this Jade concept art for the supposedly upcoming sequel. He said forever ago that he wanted new machines to power the title, and they're here. The Last Guardian? Fumito Ueda and Sony have made no qualms about this game. It's being made, it has not been cancelled, it's coming. My money is on the PlayStation 4. We'll see it at E3 next week. We have to, right? What I'd really like to see, even more than Half-Life 3, are sequels for Fallout and Red Dead. Both are almost inevitable just based on sales alone, but they're also both in development at companies that have the wallets and will to take their time on titles. With Take-Two's CEO recently calling out Red Dead as being a franchise rather than a single game, in conjunction with the announcement from Rockstar that they'll have a new game out before March 2015, my money is on Red Dead Redemption making an appearance at the show. Yes, and color me all sorts of excited if Red Dead happens. My goodness, I'd be a mess if it shows up. It would be a shame if they announced a new Red Dead at E3, because I would die instantly of unbounded joy. I think you and I will both agree that, no matter how you slice it, the Wii U has not gone how Nintendo intended. Bad naming, bad initial lineup and bad pricing all turned it into an awkward gimmick gone console. It still has plenty of detractors, no doubt about that. But, I'd offer that Nintendo has managed over the last year to at least validate the Wii U as an option. It might not be the best option for all gamers, but it has slowly become a good machine for Nintendo fans. I point towards Mario Kart 8, Pikmin 3, Super Mario 3D World and The Legend of Zelda: The Wind Waker HD as the system's must-haves, and Nintendo likely sees them the same way. For me at E3 this year? I'm not looking for Nintendo to "save" the console. I'm looking for the company to announce new titles and further validate my decision to own one. That's going to come from new games, right? Nintendo Power comes from first party titles, there's no doubt about that. We know what they have planned for this year. Mario Kart 8 just hit and we have multi-platform Super Smash Bros. on the way. But what's next? I think Nintendo has to announce a mainline Zelda title before too long. And I'd really like to see something in the Metroid vein that eschews the cutscene-heavy abomination from Team Ninja a few years ago. Oh, and we need a Bayonetta 2 release date. Zelda is pretty much going to happen. Eiji Aonuma, the current head honcho on the series, has already said that there will be a Zelda announcement. But, and I know this for a fact, there will be other games that we don't know about yet. A new Metroid? Would be nice, right? Let's see Retro give the ape a break and go back to Samus and her space pirate hunting exploits. 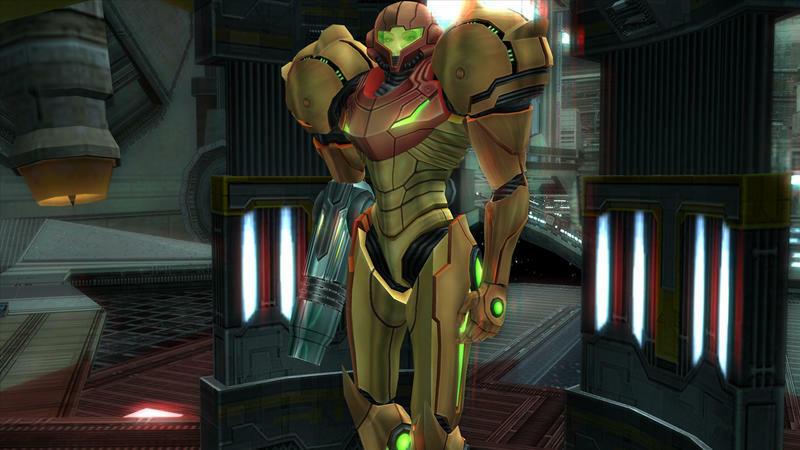 I'd love to see another Metroid Prime-esque effort from Retro studios. We also know that Miyamoto has been working on a new and different IP for a while back. Look, Miyamoto is pretty much the granddaddy of all things Nintendo. He's the creator of Mario, Zelda, Pikmin and a whole lot more. He's doing something new, and if we see it at E3 this year, we could be in for a heck of a Wii U surprise. I just hope it isn't totally health focused, which could also be an aim for Nintendo. I worry sometimes that Miyamoto might be getting bored of making games, or that his interests are aging with him, but I hope he is working on something that'll capture wider imagination the way Mario and the Nintendo Wii have. We were talking about Sony earlier, and one thing I'm sure we'll see is Morpheus. I don't know that Morpheus is headed for shelves this year, but it'll make an appearance at the show. I think this is going to be a telling year for some gimmicks – namely virtual reality and second screen gaming. Yep, I totally agree with that. Virtual reality will be the gimmick this year. Let me clarify, though. A gimmick is just a feature without an adoption rate, right? Nintendo's second screen on the original DS was a gimmick, until the DS blew up and become the best selling handheld of all time. Now, it's a feature. Gimmicks don't always go feature, though. A few years back, just about every presentation I went to (large and small) required 3D glasses. The Sony presser had 'em, and even a silly small demo for that terrible Star Trek game had 'em. Last year, it was tablets as second screens. I still hate that one. Blah. This year? Gotta be VR. Gotta be. The amount of money being poured into VR right now is just too big not to. Facebook instantly made it a $2 billion industry when it bought Oculus earlier this year. Sony has its own project, and it's looking pretty mature. Both companies are going to want to start pulling in some money before too long. I never thought I'd be saying this, but I think Sony might have a slight leg up on Oculus right now. PlayStation compatibility and ease of use might make it the more appealing device if they can show some big games that offer meaningful, literally game-changing support for it. Oculus is still, even after its Facebook purchase (or maybe because of that), an indie haven. The lawsuit from ZeniMax stripped away any possibility of Doom hitting the platform officially, so what do they have left? We'll be nerding out with funny helmets on this year, man. Definitely. Whether that's below a Sony or an Oculus brand remains to be seen. What I think both of us are most excited for, though, are the games. Not just the unannounced maybes, but the games we have on the books to see. We're checking out stuff like Metal Gear Solid V, stuff from 2K, The Witcher 3, Destiny, all the stuff EA has on tap. I'm looking at our little appointment calendar for next week, and it's brimming with titles right now. We don't even have time for lunch on Wednesday. That's because we're going to be playing so many games. Remind me to bring some granola bars. Yeah – even without the unannounced stuff, I'm already really excited to check out the games we know about. You know I'm a huge fan of The Witcher, and Metal Gear Solid V: Ground Zeroes did well to whet my appetite for what director Hideo Kojima can do with a wider space. Big games like Sunset Overdrive, Batman: Arkham Knight, Dragon Age: Inquisition, Far Cry 4 and The Crew are all going to be on display. Sony and Microsoft should have some new IPs, both first and third-party, and at least some of those are sure to be impressive. Man, we didn't even get to the smaller indie games like Hotline Miami 2. Forget skipping lunch for one day of E3, we might have to fast all week. And then most of this Fall. We're going to have a lot to do.